Below are details on the application materials required when applying to the Master of Engineering Management program. For more information on how to apply, deadlines, and requirements, please visit our admissions page and see answers to our frequently asked admissions questions. The online application for fall admissions for part-time students must be completed by August 1 and by January 15 (Round 1) or March 15 (Round 2) for full-time and international students. Work experience is recommended before entering the program but not required. Applicants with three or more years of technical work experience are allowed to waive the GRE or GMAT score requirement of the application process. The admission committee will not consider internships or other work completed during your undergraduate studies as part of the three-year experience threshold. Please note that the three-year mark refers to the date an applicant plans to start the MEM degree. For example, a Fall 2018 applicant would need three years of work experience by September 2018 to waive the GRE/GMAT requirement. GRE or GMAT scores are a requirement of the part-time and full-time application process unless the applicant has three or more years of technical work experience, at which time the requirement is waived. However, a majority of full-time applicants choose to submit GRE or GMAT test scores, regardless of their experience level. All test scores that are submitted will be utilized in the admission review process. To submit your GRE score, use "1308" for the Northwestern MEM Program GRE Institution Code. 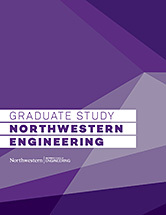 To submit your GMAT score, please find Northwestern University and select the "Master of Engineering Management" option within the GMAC online portal. We require 3 letters of recommendation from individuals who have had supervisory experience over you in a professional and/or academic setting and can attest to your work performance and management potential. As a rough guide, the table below outlines a recommended balance between professional and academic letters of recommendation, based only on number of years since the completion of an undergraduate degree. For letters from current and former employers, we would appreciate an assessment of the applicant's career progress, management potential and leadership skills. For academic references, we would appreciate an assessment of the applicant's potential for graduate work. How long have you known the candidate and in what capacity? Can you provide examples which highlight the candidate's career progress or suitability for our graduate program? Can you provide any point of comparison for the candidate against others in similar circumstances? Please note: The application system will email your recommenders at the email address you provide. Recommenders will receive a request to address the questions outlined above as well as instructions on how to upload their completed letter to the application system. Recommenders may use standard word processing software for letters. Why are you applying to the Master of Engineering Management program at Northwestern University? Please include in your answer why you are interested in engineering management as well as your career goals. Include any information that highlights your career progression or a personal experience you want to share with the admissions committee. Please submit an electronic copy of transcripts from all post-secondary institutions attended, whether you have received a degree or not. This includes degrees currently in progress and study abroad credit. All pages of the transcript must be scanned and legible. If your transcripts are not in English, please send a copy in the original language as well as a certified translation. Please note: Official transcripts in sealed envelopes, or by secure electronic delivery direct from the institution, will be required prior to matriculation only if you are admitted into the program. Much of your success in graduate study in the United States will rest on your ability to understand, read, write and speak English. The program has many team based courses and you must be able to contribute to your team. All applicants whose native language is not English must certify their proficiency in the English language by taking the Test of English as a Foreign Language (TOEFL) or The International English Language Testing System (IELTS). These scores are also required of all applicants whose undergraduate training, in whole or in part, was taken at an institution in a country where English is not the native language. This includes bilingual or multilingual institutions in bilingual or multilingual countries. United States citizenship or permanent residency status is not an automatic waiver of this requirement. Test scores must be less than two years old at the date of matriculation. The minimum acceptable score for the TOEFL is 100 (Internet-based test) and for the IELTS, 7.0. The TOEFL Institutional Code for the Northwestern University Master of Engineering Management program is B823. A calculus based statistics course is a prerequisite for some of the MEM coursework. If admitted, students who have not met the statistics requirement must take an online MEM statistics course during the summer quarter and obtain a grade of "B" or better. This online course is free to MEM students. In some cases, admitted students may be required to complete a statistics course as a part of conditional admission at an institution outside Northwestern University. Note: Students admitted for the fall quarter (e.g. all international students) will be required to take the MEM online statistics course in the summer quarter immediately prior to matriculating in the MEM Program. Part-time students admitted in the Winter or Spring quarters will be asked to take the MEM online statistics course in the following summer quarter after matriculating in the MEM Program.